Congratulations to Zahra Kasem on achieving more recognition for her creative writing! Zahra has been listed as winner in the Sonnet Contest in the Maria W. Faust sonnet competition and is listed under the Laureate’s Choice, Group Two. 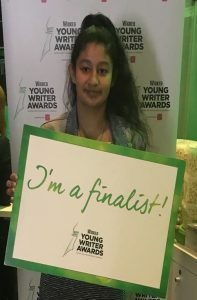 Earlier this year Zahra reached the finals of the Wicked Young Writer Awards for 2018 which took place at the Apollo Victoria Theatre, home of the hit musical Wicked, on Thursday 21 June 2018.